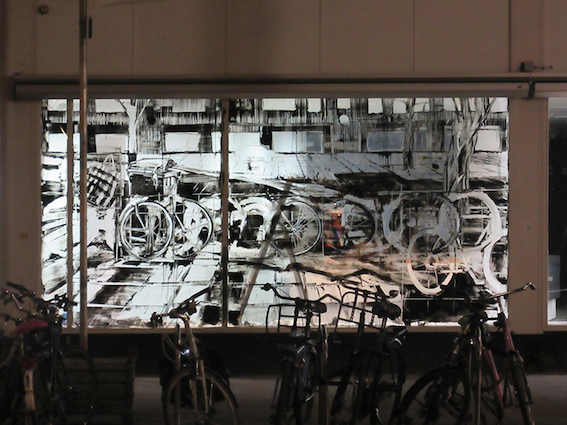 This site-specific work was created for the exhibition 'Nuts & Bolts' in the Film Festival Rotterdam (IFFR) 2017 Rotterdam, The Netherlands. 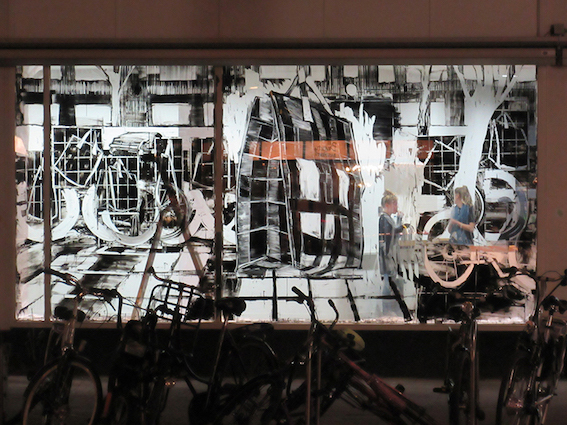 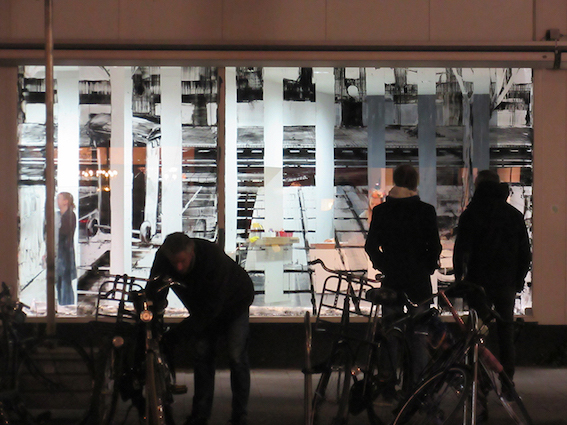 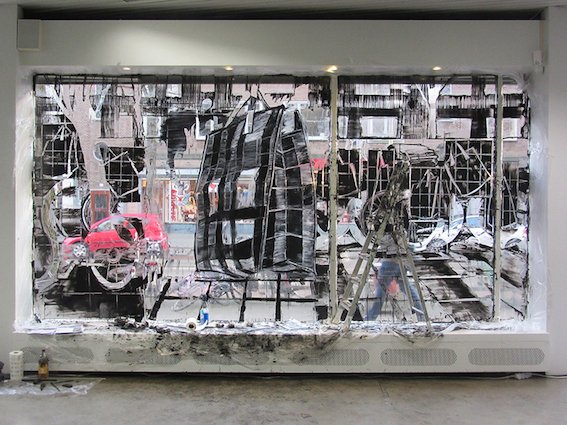 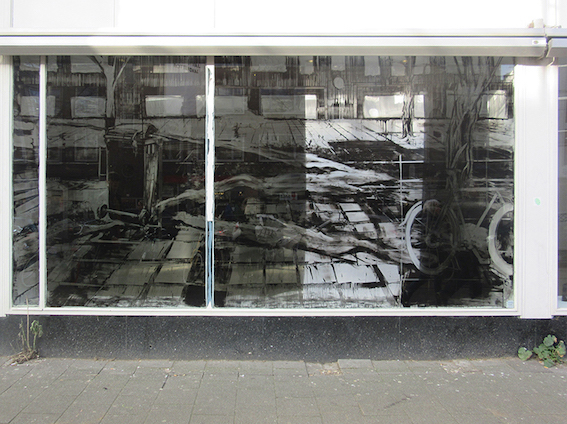 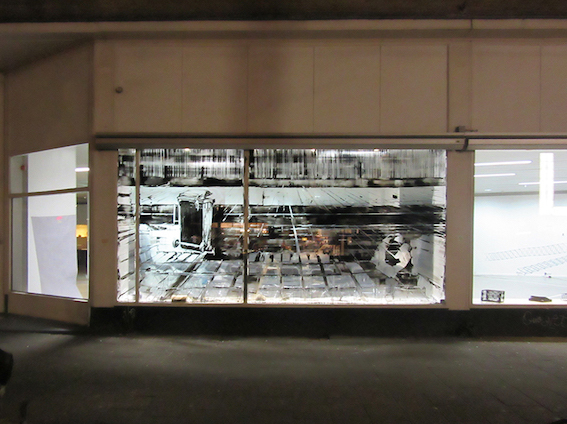 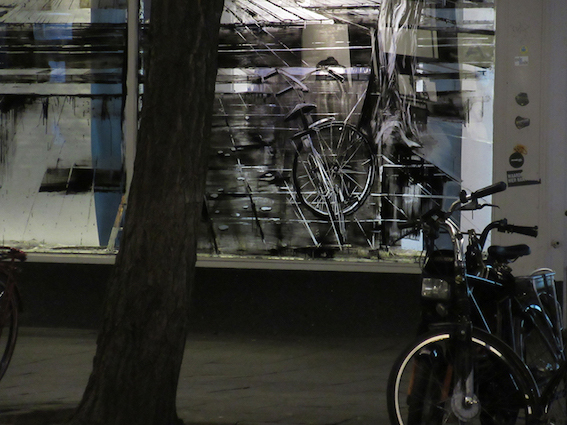 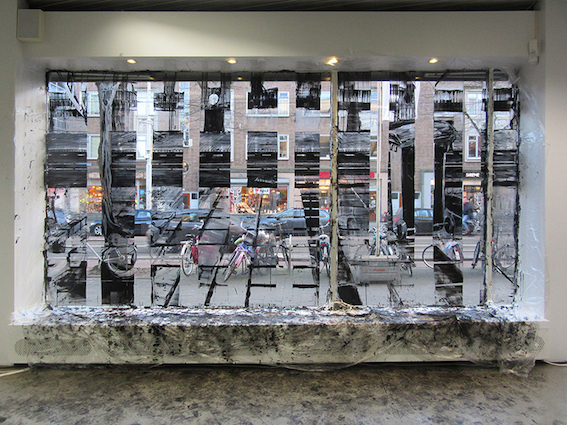 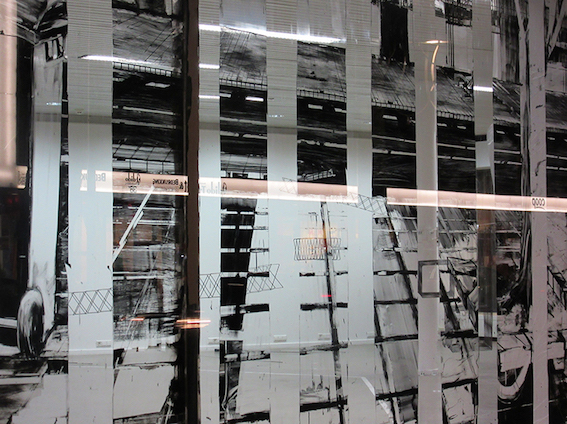 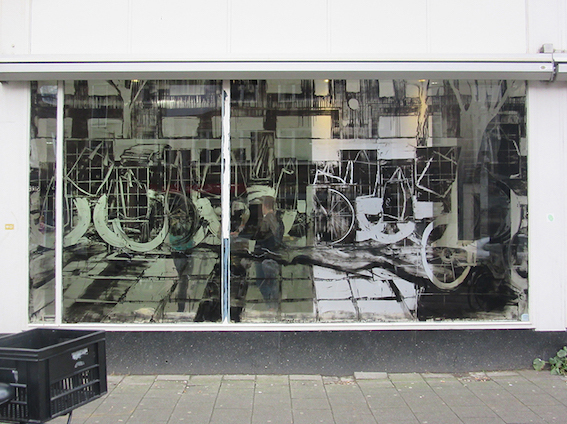 performance, drawing with oil and pigment on window, video installation. 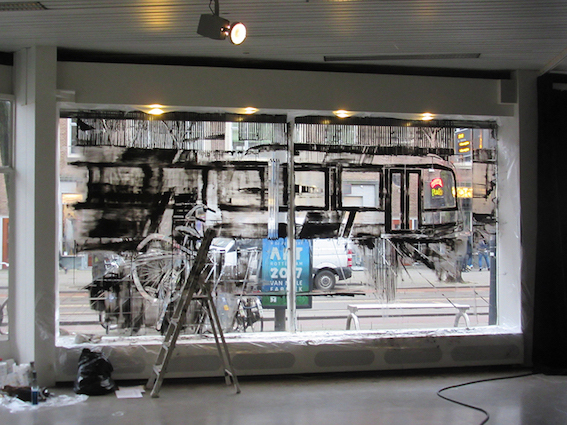 Boogaerts essentially concentrates on painting on windows using tinted oil or soap, brushes, window wipers and some cleaning materials. 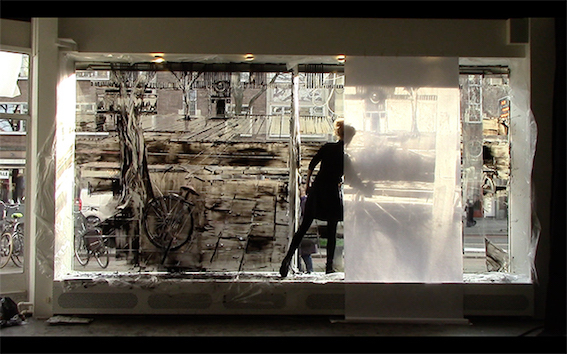 The work is presented either as a performance, as a maquette or as an animated video shot in stop motion. 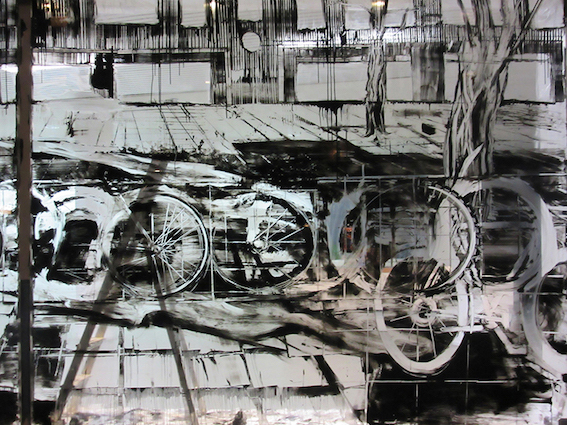 At its core, there is always an element of time. 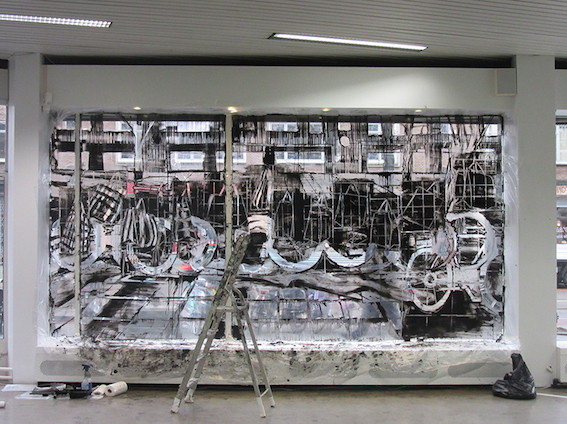 Boogaerts depicts daily scenes and ordinary objects, familiar landscapes and cityscapes. 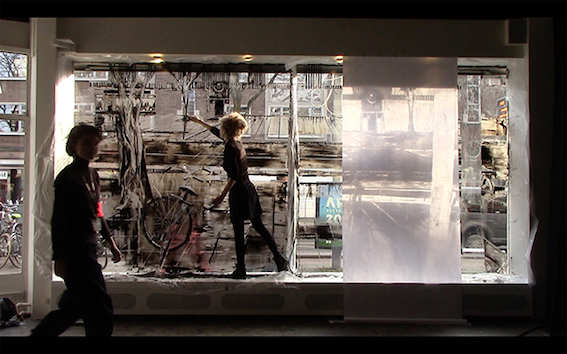 In her very own way, she revives the tradition of the window painter, invited by shopkeepers to decorate their vitrines with large painted texts and visuals, a tradition from the era when neon signage, large plotted stickers or flatscreen monitors were not yet cheap and readily available. 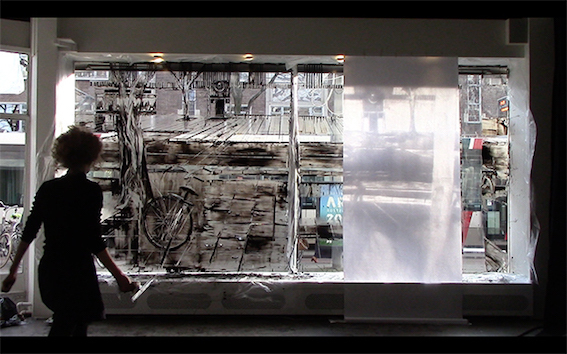 Her vitrines are empty and quickly disappear.The oil keeps the pigment from drying up, always ready to be erased, by the hands of the artist, or nature’s elements.